It is safe to say that we have become obsessed with coffee in America. From the local coffee shop to gourmet single cup coffee machines, the tasty hot beverage is everywhere. One of the beneficiaries of our coffee obsession is something known as cowboy coffee. This old way of brewing is enjoying a renaissance among coffee drinkers looking for bold new flavors. You will not likely see cowboy coffee being consumed in the workplace; the means to make it are not available at the office. However, at home or on vacation, cowboy coffee is becoming as popular as it ever was in the past. You might want to try it yourself if you are the kind of person who finds adventure in new things. Long before there were electric percolators, coffee was competing with tea as the number one hot beverage in America. However, unlike tea that could be shredded and put into nice little bags, coffee beans were large and unwieldy. The best way to brew a pot of coffee was to roast green beans, grind them, and then boil them in a pot. Once the grounds settled to the bottom, the resulting liquid could be poured and enjoyed. This traditional means of coffee preparation got the name “cowboy coffee” from the fact that the process was used by the cowboys and frontiersman living on the open plains. These adventurers did not have modern kitchens with the latest equipment of the day; they had campfires and cast iron coffee pots. The cowboy of the past would typically buy already roasted beans from a trading post or local merchant. If he had enough money, he might also purchase a hand-cranked grinder. Otherwise, a pestle and mortar or a couple of rocks would do just fine. He would put his ground coffee beans into his pot and boiled them over the open fire. The only major difference is that the cowboy wouldn’t be so concerned about allowing all of the grounds to settle. It was common back then to enjoy your coffee with a certain amount of texture. Traditional cowboy coffee began to fade with the invention of the electric percolator. The old process would still be used out in remote areas, but percolated coffee became the norm in cities during the post-Civil War era. By the time World War II came to an end, cowboy coffee was about as scarce as the cowboy himself. Today, we prefer our coffee come from a coffee shop or state-of-the-art drip machine on the kitchen counter. Nevertheless, if you are interested in getting a little taste of the past, consider making your own cowboy coffee at home. You may find you really like the bold flavor. In the meantime, Galaxie Coffee will continue to provide the greater New York area with the finest coffee and beverage service in the industry. 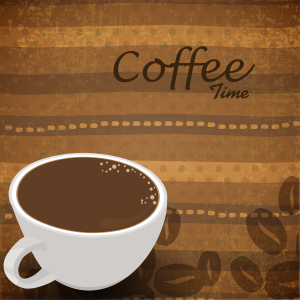 We offer a long list of coffee products along with teas, other beverages, paper products, and janitorial supplies. Coffee is among the best selling commodities in the world. In fact, coffee is a beverage that is enjoyed by hundreds of millions of people on nearly every continent. As such, the coffee industry is one that is constantly evolving to meet consumer tastes. As those tastes go, so does the industry in America. Data from earlier this year shows that coffee consumption in America is on the rise. Some 61% of American adults report drinking coffee daily, up two percentage points from the year before. Furthermore, coffee continues to dominate other popular beverages such as sodas and teas. We expect that to be the case for the foreseeable future. In addition, we could see the start of the decline in energy drinks early next year with a corresponding increase in coffee interest. Now that the word has gotten out about the high caffeine content of energy drinks, consumers are less willing to embrace them. The rise of popular coffee shop chains back in the 1990s led to fewer people brewing their own coffee at home in favor of grabbing a cup on the go. It was a lot more convenient to stop at the drive-through on the way to work than to set up a drip brewer every morning. However, the introduction of the single cup brewer has changed that. Today’s single cup brewers are capable of producing a tasty cup of coffee in less time than it takes to make toast. The consumer just inserts a pod or cup, presses a button, and waits no more than a minute or two for a fresh cup of coffee. We believe this will create a resurgence in the home brewing market as evidenced by research data that suggests 15% of Americans already have a single cup brewer and 25% of those who do not are planning to buy one. 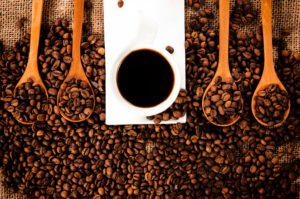 When the idea of fair trade coffee was first presented, it was offered as a way to eliminate poverty among the world’s coffee growers by paying them above-market prices for their beans. Yet even as Americans pay more for this coffee, the poverty it was supposed to eliminate is still pervasive. We expect consumers to gradually stop buying fair trade coffee as they begin to understand they are paying higher prices for little or no results. Here at Galaxie Coffee, we are excited about the future of our industry. We look forward to providing our customers industry-leading coffee and beverage service for years to come. It is what we do better than anyone else.